Rush-Co Marine offers affordable customized canopies for virtually any boat lift. 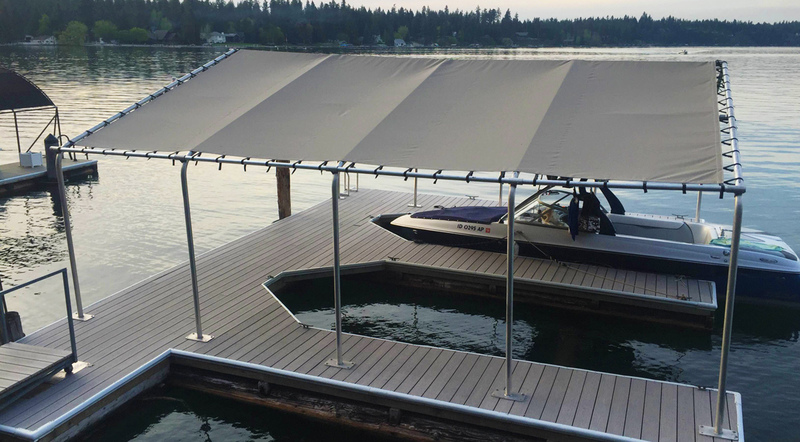 Whether you boat lift is an older model, custom design or has been modified over the years, we can create a perfect custom cover to fit with the features and in the color(s) you desire. Please give us a call for more information on availability of custom colors, canopy lengths, or other modifications to our standard offerings. When supplying information about your canopy frame, please note if there are any sharp corners and pictures are also helpful. For more information on our custom cover options or a free estimate call 1-866-776-5617 or email us.